We’re feeling honoured here at Orchestrate. 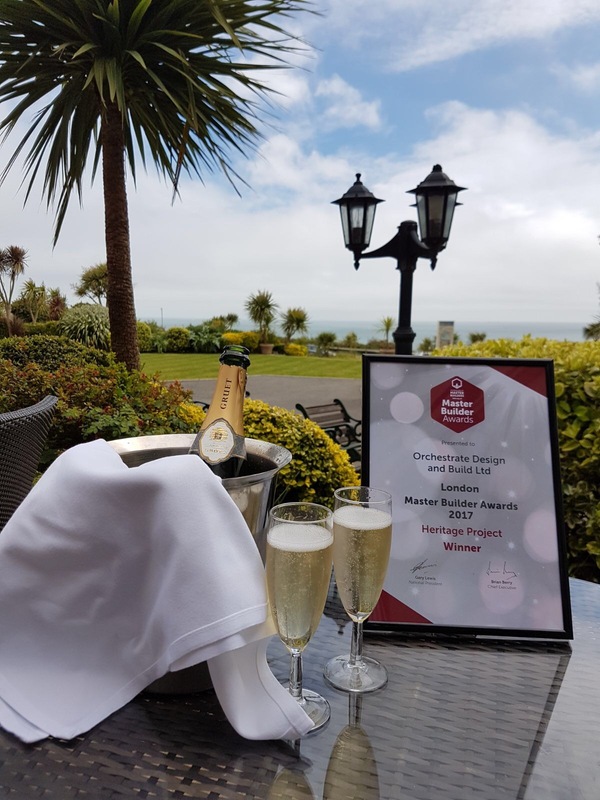 We have just returned from sunny Bournemouth where we were lucky enough to be awarded the Master Build Award for best Heritage project in London by the Federation of Master Builders. It’s great to be recognised for our work and it’s brilliant that we can showcase this great project to a wider audience. Thank you very much, FMB. To see some more photos of the project click here. Orchestrate Design and Build, based in Clapham, has scooped a prestigious Master Builder Award, taking the prize for best Heritage project in the Federation of Master Builders’ (FMB) London region for its creative conversion of the iconic Britannia Row Studios in Fulham. Orchestrate Design and Build was selected by the region’s judges to win the Heritage Award and will now go through to compete in the national finals for the chance to win the UK category title. The winning project is a daring conversion of Fulham’s Britannia Row Studios in Fulham. Originally used as an industrial facility to service London taxis, for two decades the building was home to a recording studio at which some of the biggest names in rock history recorded, including Pink Flloyd, Bjork, Snowpatrol and Kate Bush.